As they say, yoga is for everyone. But introducing yoga to children at young age will certainly set the foundation for healthy future. Those who are already into yoga and have been reaping the benefits of it, would often like to see their kids incorporating it into their lifestyle for greater physical, mental and emotional benefits. However, those who are not into yoga and have not yet made up their minds for their kids, they need to understand that yoga is not just any form of exercise. Unlike other sports, it is a holistic exercise that takes care of physical as well as emotional well-being of a person. Not only this, yoga makes kids body so flexible and supple that it would apt more easily to other forms of sports like gymnasium, aerobics, etc in later part of their lives. How can yoga be introduced to kids? Yoga for kids is different:We need to understand kids’ yoga is very different from adults’ yoga. Yoga for kids has to be in non-linear, unsystematic and informal way, unlike yoga for adults. Kids love jumping, moving, it is very difficult to make them sit in one pose for too long. They would lose interest. Keeping that in mind, yoga for class 1 generally have no poses and demand them to sit or stand still. It has lot of stretching and movements which kids enjoy. Gradually, more meditative poses and complex body movements are incorporated as they move up. It’s all about animals: Exercises in yoga are mainly animal postures or greetings to nature. 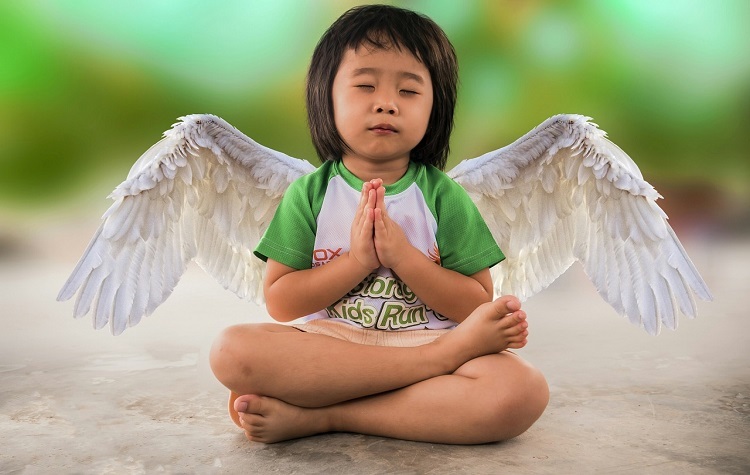 Thus, if names of yoga poses like singhasana, pawanmuktasana are replaced with more relatable names like lion pose or fly like a bird asana, kids would love it. Kids enjoy when they are asked to imitate animals or trees or forests. Reward children: “At our school, kids who excel in yoga are given an opportunity to perform individually on stage at school functions, before their friends, teachers and parents. This sounds rewarding to kids and they generally take lot of interest in yoga,” said Dr Arora. What is the right age for yoga? According to the yoga experts, five years is the most appropriate age for yoga. However, there are some private institutions where 3-years-old do get admission. In schools, generally, yoga starts from grade 1. Flexibility and strength:Yoga makes the bodies of children flexible and builds physical strength. Kids, while doing yoga and making a pose, be it standing or lying down or sitting, are using their body muscles in newer ways and exploring their body and the way it functions. Achieve balance:Majority of yoga poses are aimed at achieving balance. Kids learn to attain mental and physical poise and stability while trying different poses. They learn to stay calm when they fall and try again. They are filled with a sense of achievement when they are able to maintain balance in a pose, for say, standing on one foot. Stay focussed and committed:Enacting different yoga poses help children to focus and train their mind on the effort they are putting in. The children learn how to stay determined, committed to a goal, despite all the disturbances around. Stay focussed and maintain the balance are the valuable lessons that will lead him/her to concentrate in studies, perform better in class and get good grades. Helps calm down mind:In our current fast paced lives, when children often feel pressurised by personal reasons, parental and societal pressures, yoga is a solution which helps nurture and develop a resilient and resourceful mind. 1. INTERVIEW: Want to become a certified yoga professional?